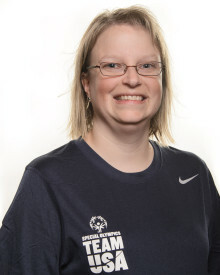 Jennifer Hitt of Edwardsville, head coach of the Bellveille PTOEC gymnastics team, was recently recognized as a finalist for the annual Special Olympics North America Coach of the Year Award. The Special Olympics North America Coach of the Year Award was established in the late 1980s and is given annually to an active, certified Special Olympics coach who has met several criteria, particularly having made a significant and demonstrable impact on local Special Olympics Program and their community. There are more than 120,000 coaches within Special Olympics North America providing instruction and competition in more than 32 sports. The impressive scope and contributions of all those coaches puts the momentousness of this award into perspective. 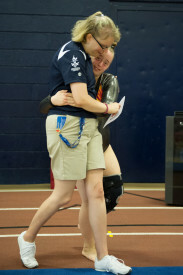 Hitt has been involved with Special Olympics Illinois for 16 years. She initiated special needs gymnastics classes at the World Class Gymnastics Center in Belleville in 1998 and formed a Special Olympics team the following year. Her program has expanded every year since. 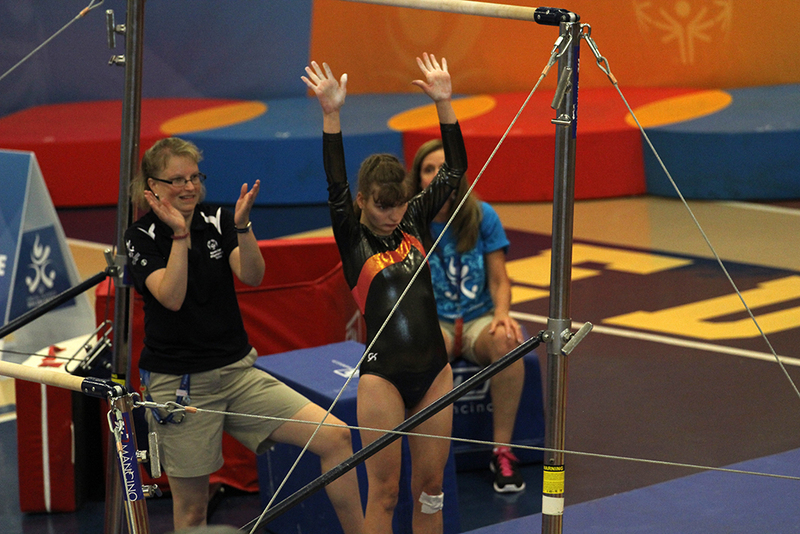 Hitt helps facilitate the District Gymnastics Competition in Southern Illinois. The event is held at World Class Gymnastics and her coaches, staff and elite gymnasts serve in all volunteer roles. Year after year, she ensures all needs are fulfilled, leading to a quality competition for all athletes. The past two years have been especially busy as Hitt has represented Special Olympics Illinois and Special Olympics USA at the highest level. In 2014, Hitt served as head coach for Team Illinois’ gymnastics team. Her outstanding work with this team led her to be selected as an Assistant Coach for Team USA’s Gymnastics Team for the 2015 World Summer Games in LA this past summer. “I’m honored to be recognized for the Coach of the Year award and would like to thank all of my wonderful athletes and fellow coaches who have inspired me along this journey!” said Hitt. Hitt’s passion and energy for the mission of Special Olympics is infectious. The positive impact she has on her athletes, training facility and sport is wide reaching. We are proud to call her one of our own and consider her completely deserving of being selected a finalist. Congrats Jennifer!